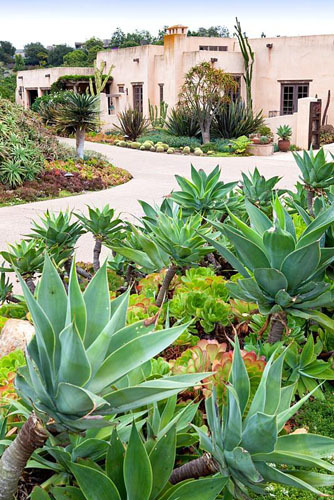 A private garden owned and designed by Artist Suzy Schaefer in Rancho Santa Fe, Southern California near San Diego, USA. It’s approximately one acre in size with a great variety of drought tolerant plants, colourful succulents and architectural specimens set around a Mexican ranch style house. The local climate is mild and sunny with a hardiness rating of USDA 10a. In 2007 wild fire swept through the area including the Schaefer’s property but the water retaining succulents in their garden prevented their house from catching fire unlike many of their neighbours properties. To view this garden, click here. This entry was posted in My favourite on May 30, 2016 by gapadmin. 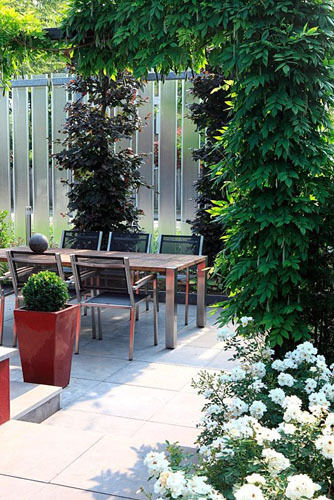 Garden architect Ellen Knoeff gladly takes her time with her clients. 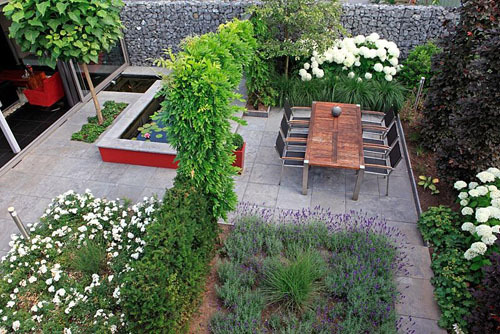 The result here is a private garden that is completely tailored to the needs of the garden owners. With attention to detail, and using quality materials. Click here to view this lovely garden. This entry was posted in My favourite on May 26, 2016 by gapadmin. 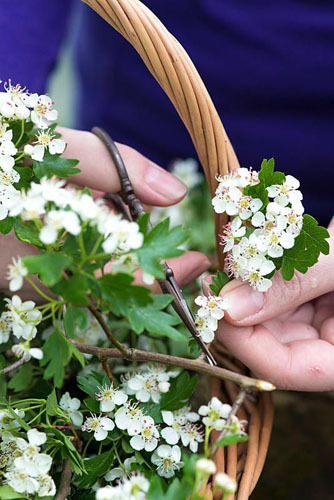 This is the season for the purest of whites, either bold as in fragrant lily-of-the-valley, ephemeral like white blossom or feathery cow parsley. Every posie needs a ‘fluffy’ flower to create body — cow parsley or pimpinella are lacey — whereas perennis daisies are versatile, available in whites, reds and pinks that stand perkily for days on end, their rounded shapes vieing with the erect forms of grape hyacinths. For foliage, choisya adds small, shiny leaves, the dainty white flowers an added bonus. Whilst picking flowers and foliage, compare one with another, looking for contrast or harmony in terms of shape, texture and colour. With a limited colour palette, the container plays a greater role, and it’s interesting to experiment with chance ‘finds’ from charity shops — unwanted tea caddies, cut glass, old sugar bowls and an endless supply of silver vessels can be found for little cost. 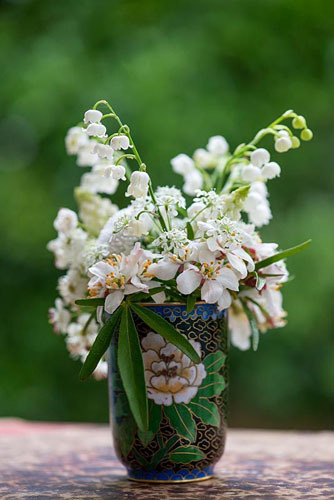 A striking all-white posie is created from a blend of Mexican orange blossom (Choisya x dewitteana ‘Aztec Pearl’), hawthorn (Crateagus laevigata), cow parsley (Anthriscus sylvestris), lily-of-the-valley (Convallaria majalis), bellis daisies (Bellis perennis), grape hyacinth (Muscari aucheri ‘White Magic’). This entry was posted in Garden craft on May 23, 2016 by gapadmin.